Easily preserve your flowers by using the EC Flower Press. 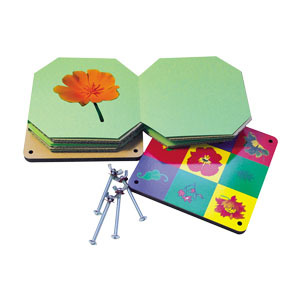 Simply place a flower between the sheets and then screw the pressing boards together tightly. Pressed flowers can be used in a variety of different craft projects. Use in collage works, scrapbooks or photo albums.